Na-na-Nana, Na-na-Nana, Hey Hey Hey, Good Bye! 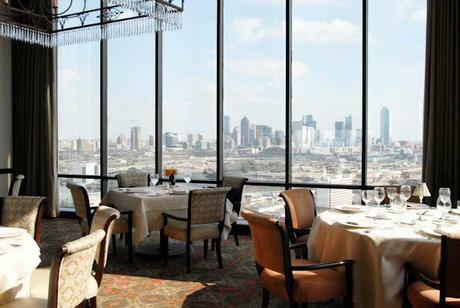 On June 9th 2012, Nana at the Hilton Anatole will close. Open since 1984, the restaurant has enjoyed an amazing twenty-seven-year run marked by delicious food and top-notch chefs. 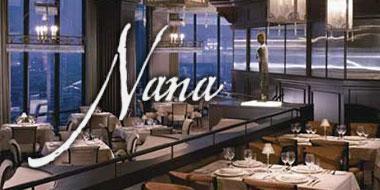 To honor the restaurant Nana will host a very special chef’s menu prepared by the iconic past Nana chefs including Chef Ronald Rosenbaum, Chef Douglas Brown, Chef David McMillan and Chef Antony Bombaci. The chef’s menu will be served on Friday, June 8th by reservation. Friday night special chef’s menu $75 per person Appetizer trio featuring Honey glazed grilled shrimp, lobster relleno and oysters with cilantro pesto Chef Ronald Rosenbaum Foie Gras Torchon White Balsamic Pearls, Black Mission Figs, Pop Rock Salt, Brioche Chef Douglas Brown Anise & Syrah laquered squab breast, Corn & truffle pudding with squab, farro & huckleberry boudin Chef David McMillan Grilled Filet of Beef, Red Wine Onions, Seared Potato Gnocchi, Asparagus Tips Chef Anthony Bombaci Chocolate Truffle, Cinder Toffee, "Cool Whip", Milk Stout Bubbles Chef Anthony Bombaci Reservations are available by calling 214.761.7470. www.nanarestaurant.com Nana is located on the 27th floor of the Hilton Anatole Hotel at 2201 Stemmons Freeway, Dallas, TX 75207.